and published lectures. Blog content can be found on the Thoughts page. Could the algorithm kill our capacity for kindness? http://www.juliaunwin.com/wp-content/uploads/julia-unwin.jpg 0 0 juliaunwin http://www.juliaunwin.com/wp-content/uploads/julia-unwin.jpg juliaunwin2017-06-11 17:11:052017-06-11 17:11:05Could the algorithm kill our capacity for kindness? What is the role of philanthropy in reducing poverty in the UK? http://www.juliaunwin.com/wp-content/uploads/julia-unwin.jpg 0 0 danclarkson http://www.juliaunwin.com/wp-content/uploads/julia-unwin.jpg danclarkson2016-12-31 18:42:112016-12-31 18:42:11What is the role of philanthropy in reducing poverty in the UK? Where next for civil society? http://www.juliaunwin.com/wp-content/uploads/julia-unwin.jpg 0 0 danclarkson http://www.juliaunwin.com/wp-content/uploads/julia-unwin.jpg danclarkson2016-11-25 19:26:152016-12-18 19:31:12Where next for civil society? It argues that there have been very good reasons for keeping kindness separate from public policy; but that the great public policy challenges of our time demand an approach that is more centred on relationships; and, with technology and artificial intelligence transforming the way we do things, it is imperative that we focus equally on our emotional intelligence. The recent crisis seems set to leave us with an economy in which some may never work and there is little public sympathy for the poor. This book looks back at the struggle to end poverty and asks if it has been worth it. What would a poverty-free country be like? 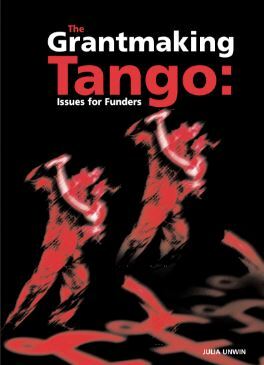 An examination of the different issues facing the grant-making economy.